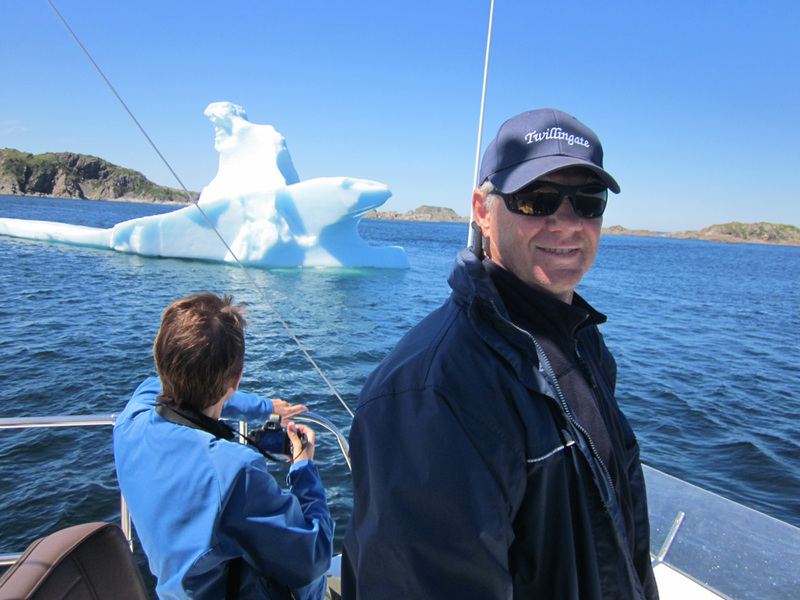 Captain Cecil Stockley established Twillingate Island Boat Tours Ltd. and the Iceberg Shop in 1985, being the first boat touring company in Newfoundland to specialize in Icebergs. 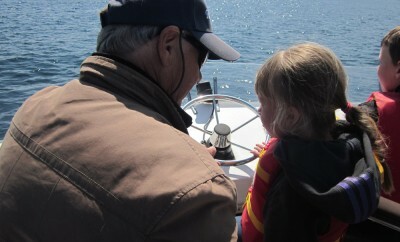 Every day during the spring and summer for over 25 years, Captain Stockley has departed from his dock at the Iceberg Shop aboard his specially-designed touring vessel M.V. Iceberg Alley to view the great mountains of ice, along with whales, dolphins, seabirds, and the spectacular coastline of Notre Dame Bay. Cecil was born and raised in a family of 10 children just up the hill from the Iceberg Shop. 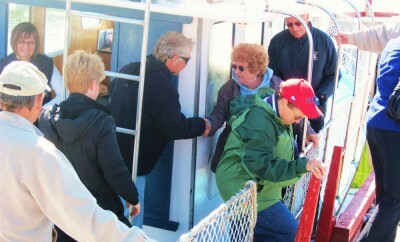 He has always loved the ocean, and like many boys of his time, he had his own lobster pots set. He enjoyed fishing and turring, but was always mesmerized by the majesty of the icebergs that passed by Twillingate each spring and summer. In 1974 Cecil graduated from Memorial University with a Bachelor of Physical Education Degree. He became the Phys-Ed teacher at Twillingate Island Elementary School. In 1981 Cecil married Miss Cameron, the music teacher at the Elementary School. They bought a house and property on the Southside of Twillingate Harbour, just down the road from where he grew up. As a teacher, Cecil had summers off. 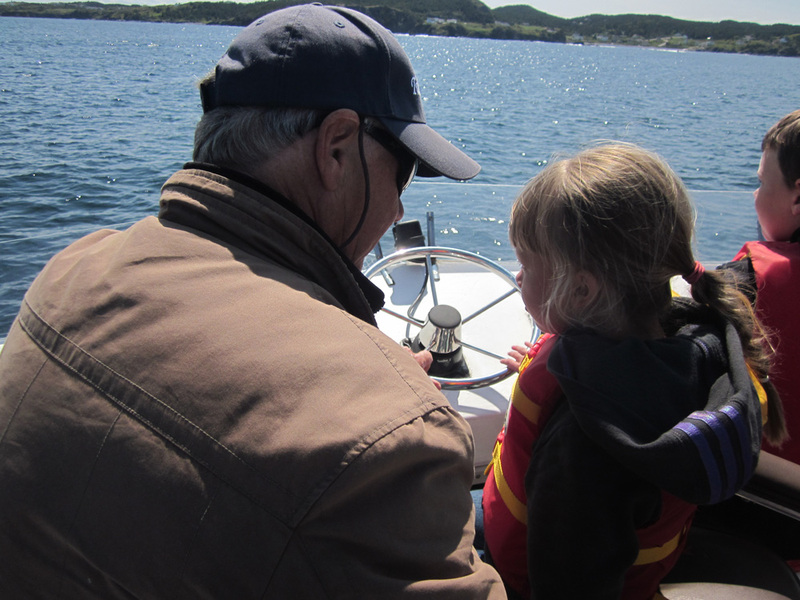 With so much free time, he began to take note of how many people came to view the scenery, whales and especially the icebergs from the land of Twillingate. He realized how happy people would be if instead of squinting from land to see the bergs, they could be seen up close in a boat! The idea of the Iceberg Man was born. Much of Cecil’s own labour went into the wharf-work and the creation of the Iceberg Shop, which is now considered one of the finest craft shops in the province. As a very community-minded fellow, Cecil sat on the Twillingate town council and held a term as mayor. He played Intermediate B hockey resulting in three consecutive All-Newfoundland championships. He shared his passion for hockey with the youth of the town as he coached High School hockey for nine years and Girls Minor Hockey for 11 years. (Three of his four daughters played on the team!) His respect for young people and his love of hockey was so great that he decided to sponsor an annual girls’ hockey tournament in Twillingate, the Iceberg Cup. Cecil has a zest for the finer things in life, like good clean air, family fun, a good yarn, a weekend at the cabin, or a day on the water. 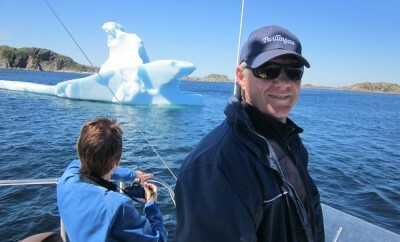 But it is his knowledge and experience with icebergs that has given him the most notoriety. Over the years various newspapers across the continent including the Toronto Star, Globe and Mail, Los Angeles Times, Halifax Chronicle Herald, Montreal Gazette, National Post, Evening Telegram, as well as radio and TV stations including CNN International, CBC, WLIP Milwaukee, and more, have published interviews with Cecil. These articles and broadcasts paint to their viewers and readers a picture of an adventurous traveler roaming from coast to coast, hoping to catch a glimpse of the wondrous icebergs floating from North to South. But who, exactly, holds the key to the cherished iceberg viewing experience they ask? Why, none other than Cecil Stockley; The Iceberg Man. In the past few years Cecil has been recognized nationally. 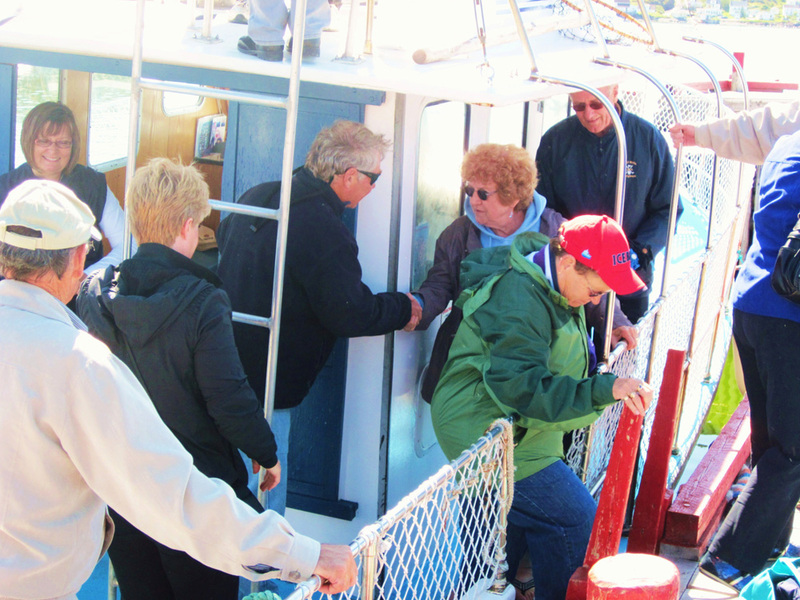 In 2011, his boat touring company was chosen by the Canadian Tourism Association as one of forty-eight inaugural members of the Signature Experience Collection from across Canada. In 2012, Cecil won the title of Ernst and Young Entrepreneur of the Year in Tourism for the province of Newfoundland and Labrador.